Monday through Saturday, our classes are all-levels and led by second-degree black belt and head instructor Luis Pantoja. In every class we incorporate specific techniques such as takedowns, escapes, reversals, and submissions. Classes include solo and partner drills, technical instruction, questions and feedback, situational drills with resistance, and live sparring. We all learn at our own pace, and in our own ways. With a foundation of respect, discipline and team-work, we encourage students to take charge of their training at a very early stage in order to develop the creativity, innovation and problem-solving we believe to be fundamental to Jiu Jitsu. 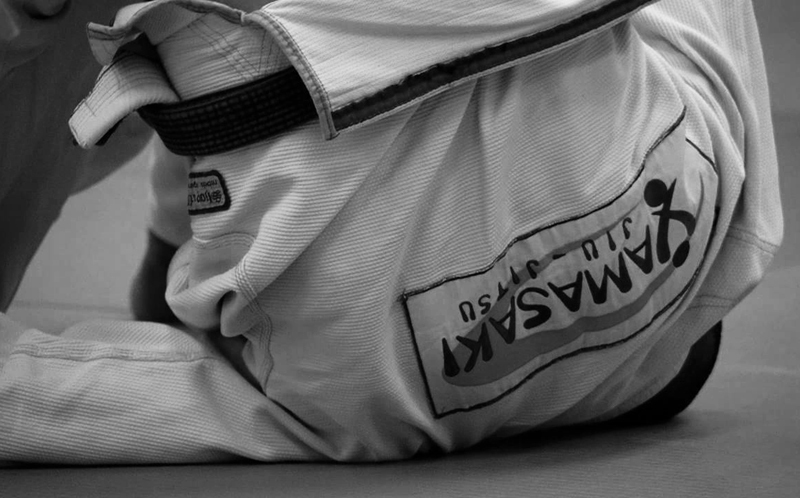 Brazilian Jiu Jitsu is not just an effective form of self-defense, it’s also great exercise that is both intellectually and physically challenging. Our top-level instruction and training relies on teaching techniques that have been proven to work; passing on what we have learned developing our own styles over many, many years of training and competition; collaborating and innovating with eachother; and supporting you on your journey in whatever way we can. Interested in becoming a member? Contact us today to schedule your free Introductory Class! No obligations, no strings attached. Come and check it out -- we offer Introductory Classes on Mondays, Wednesday and Fridays. Our goal is to make you feel welcome at Yamasaki DC. We’ve devoted a considerable amount of time and energy into building a great team and training atmosphere, and we’re excited to have you check out our program. Our Introductory Classes are small-group or one-on-one sessions that run alongside our regular class schedule. We provide you with an overview of Jiu Jitsu and an understanding of the basic positions, and then we’ll work on drilling a specific technique and help you to feel comfortable with some basic instruction. If you’re completely new to grappling, your first class can seem like an overwhelming amount of detail, techniques, lingo and more. The key is your attitude. Have fun! Relax, listen to your instructor, and accept that this is the very first step in a long, challenging, and immensely rewarding journey. There are no shortcuts, so embrace the experience. Be sure you wear athletic gear that you’re happy to roll around on the floor in. Shorts or tights are great, and a shirt with short or long sleeves is required (it will protect your shoulders from mat burn). Try to avoid any clothing with zippers or sharp objects that could potentially injure you or another practitioner. That goes for removing all jewelry and piercings as well. Jiu Jitsu is an intense, full-body workout. It’s a dynamic mix of aerobic and explosive energy, and you can find yourself pretty sore the next day. We recommend that you try to pace yourself during your Intro Class. No one knows your own limits like yourself, so use your best judgment so that you stay healthy and return to class. After your Introductory Class, feel free to ask us any remaining questions you may have. We also encourage you to try out different gyms to be sure that we’re a good fit. If you become a member, our aim is to integrate you seamlessly into our regular class schedule. The Introductory Class is set up so that you can safely participate in a regular class on your next visit. Second Degree Black Belt Luis Pantoja has over twelve years of competitive achievements and ten years of teaching experience. Highly regarded as a technician, his instruction provides a strong emphasis on technique and the fundamentals of defense, escapes, guard, passing and submissions. Read more about Luis. . .
Our classes are held at BodySmith Gym, located at 1630 14th Street, NW, on the second floor. Street parking is also available. The facilities are well-equipped and extremely clean with changing rooms and showers. Yamasaki Academy DC | 1630 14th Street, NW | at BodySmith Gym | Washington, DC 20009 | Sign up for your FREE INTRO CLASS! Yamasaki Academy is the best place to learn BJJ in Washington DC. Learn the foundation for MMA and self defense through high-level instruction and great training partners.